Are you looking for a pair of work boots that will protect your feet, but won't be as bulky and heavy as your old steel toe boots? For all-round protection in the workplace, you can't go wrong with a pair of Reebok Women's Black RB750 Trainex EH Non Metallic Compo ... (see full details) (see specifications) #RBKRB750. Are you looking for a pair of work boots that will protect your feet, but won't be as bulky and heavy as your old steel toe boots? For all-round protection in the workplace, you can't go wrong with a pair of Reebok Women's Black RB750 Trainex EH Non Metallic Composite Toe Boots. This footwear is also lined with moisture-wicking Tailex, and they feature a removable EVA cushion insert with a sponge rubber heel wedge for extra comfort. A heel airbag absorbs pressure as you walk, while a durable dual density rubber outsole with a 90 degree heel (great for ladders!) and an EVA cushioned midsole keep you steady and comfortable when you're working in these composite toe boots. Sometimes you have to be on your feet all day and sometimes you have to work in dangerous conditions. That is why you need a comfortable and safe in a pair of Reebok Black RB750 Trainex EH Non Metallic Composite Toe Women's Boots! If you liked the Converse C750, then you will love the Reebok RB750. My girl needed a pair of safety boots so we tried these Reebok boots - RB750. She is really happy with these. She said they fit great and are very comfortable. They are very lightweight and don't lug her down after wearing them all day at work. She needed a non marking sole and these fit the bill. She is very satisfied with the overall performance and if she's happy, I'm happy. We highly recommend these Reebok boots. This Reebok boot is so comfortable that you can wear them straight out of the box. I had mine on for 16 hrs only sitting down to drive. Very nice no break in period needed your feet will love them. You could wear them all day. These Reebok boots are perfect for my taste. Black and simple, but real tough! I've been looking for a pair of boots that combines protection and fashion. I clicked the right button when I ordered them here in Working Person Store. I wear them immediately as soon as they arrived. Great boots! 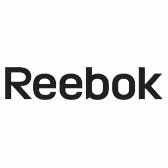 Reebok Boots: Women's Black RB750 Trainex EH Non Metallic Composite Toe Boots is being added to your cart.